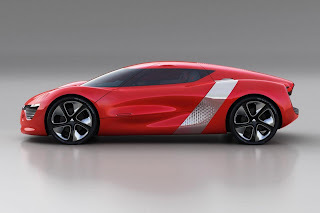 DeZir is the first project to have been led by Laurens van den Acker and marks the beginning of a sequence of concept cars that will provide an insight into Renault’s new styling vision for the future. It also lays the foundations for the design cues of the brand’s forthcoming vehicles. The DeZir concept car illustrates the brand’s commitment to styling which illustrates the three keywords that communicate the brand’s vision, namely ’simple’, ’sensuous’ and ’warm’. 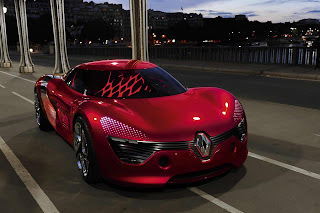 Indeed, DeZir’s sensuous lines and bright red finish are suggestive of the passion that cars have always inspired. 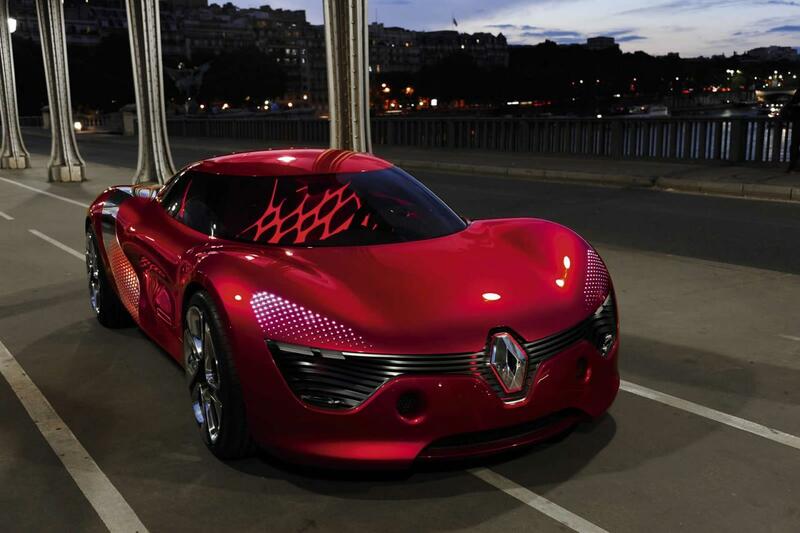 Powered by an electric motor, this sports coupé combines respect for the environment with undeniable elegance. DeZir's front end features a full-width air-intake that strikes out either side of a large, vertically positioned Renault logo which proudly asserts the car's pedigree. Meanwhile, the chrome finish of the diamond contrasts with the dark aspect of the grille to express the statement still further. The headlights take the form of backlit prisms, which make them a highly graphic feature. 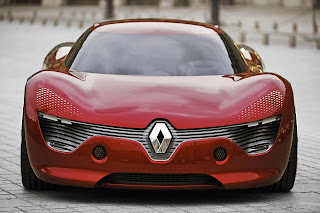 The frontend design provides a glimpse of the new front-end identity which is poised to become a feature of all Renault models in the future. Renault DeZir is powered by an electric motor mounted in a mid-rear position to optimize weight distribution over the front and rear wheels. The vertically-mounted 24kWh lithium-ion battery is located behind the benchseat and provides the car with a range of 160km. DeZir capable of accelerating from rest to 50kph in a mere two seconds.